For the first time ever the UEFA Champions League final will also be available through a number of 360°streams on YouTube and the new BT Sport Virtual Reality App, allowing viewers to choose between a 360°produced programme with commentary and graphics, or select their own camera viewpoint**. The finals will kick-off this year on Wednesday, 24 May with Manchester United’s quest for European glory in the UEFA Europa League final against Dutch legends Ajax in Stockholm. It is not just the trophy up for grabs, as the winners will be guaranteed a spot in the UEFA Champions League next season. Less than two weeks later the biggest match in world club football will see BT Sport as the host broadcaster for the clash between European giants Real Madridand Juventus on Saturday, 3 June, from Cardiff’s National Stadium of Wales. Gary Lineker will be presenting BT Sport’s coverage live from Cardiff and will be joined by UEFA Champions League winners Rio Ferdinand, Steven Gerrard, Steve McManaman and Owen Hargreaves, who will provide their expert analysis with Darren Fletcher as the commentator. With BT Sport committed to making televised sport more accessible to more people, the matches this year will be shown live for free on a number of platforms: Freeview on BT Sport Showcase HD, BT TV, Virgin Media, Sky, live on BT Sport’s YouTube channel at www.youtube.com/btsport; www.bt.com and the BT Sport App, which provides extra statistics, angles and exclusive content. BT Sport will remain the exclusive UK home of all live UEFA Champions League and UEFA Europa League football until at least 2020/21, and that will see exclusivity across all live games, including from 2018/19 for the first time highlights and in-match clips of both competitions. 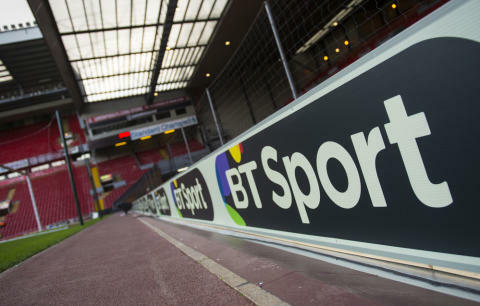 From the 2018/19 season BT Sport will enhance its social media coverage to reach new audiences, by making clips, weekly highlights, UEFA’s magazine show, and both finals available for free on social media. BT is making top tier sport far more affordable in the UK. BT TV customers can access all of the action on BT Sport from just £3.50 a month and the company has also made its channels available to customers of EE. YouTube’s Senior Director in EMEA, Stephen Nuttall says: “Our users love football, so we're seriously excited to bring BT Sport’s ground-breaking coverage of these two massive games LIVE on YouTube, for a second year running. Fans today expect quality content on every screen and this partnership delivers just that. People can enjoy it wherever they are, on any screen and experience new ways of watching the beautiful game. Super high resolution, 360° VR - we can't wait."